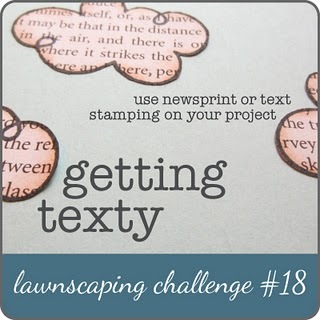 I made this one for the latest Lawnscaping Challenge, getting texty. 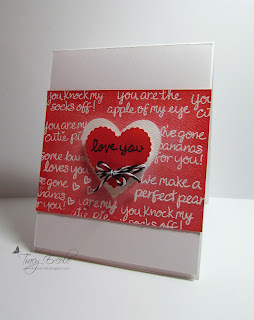 I used the sentiments from the 'My Silly Valentine' stamp set to create a text background. I embossed it and then coloured with distress ink, unfortunately you can't see it in the photo but there is a great pearly sparkle after spraying with perfect pearls. I masked the heart prior to stamping and placed another heart die cut from white cardstock on top after colouring it with the same distress ink colour. I used the love and you from Sophie's Sentiments stamp set to stamp on the heart and finished with some twine. I am also placing it in the Simon Says Stamp Presents a Resist Challenge on Lily Pad Cards and the Less is More 1000 challenge ( I hope they get it!) which is anything CAS goes. Love the red! Just love... And that touch of the black/white twine is just perfect! Thanks for joining us!!! I love this one Tracy, great design and a super colour. 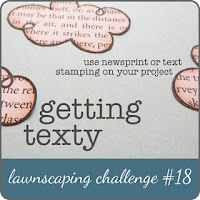 I love how you used the Lawn Fawn sentiments with resist, what a fabulous background! Really creative card design, pretty and fun at the same time. Thanks for joining us at Lily Pad Cards. What a great card design. 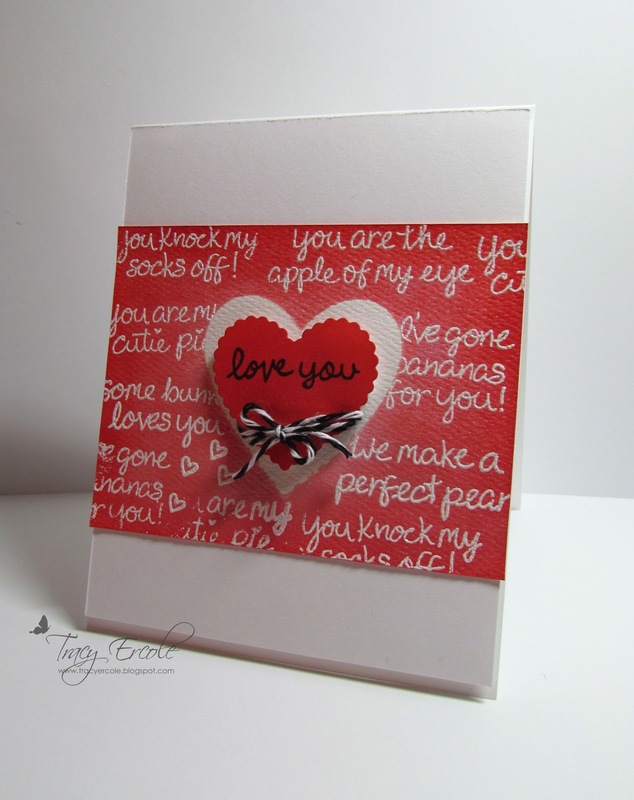 Love how you repeated the sentiment, and the twine around the heart is brilliant!